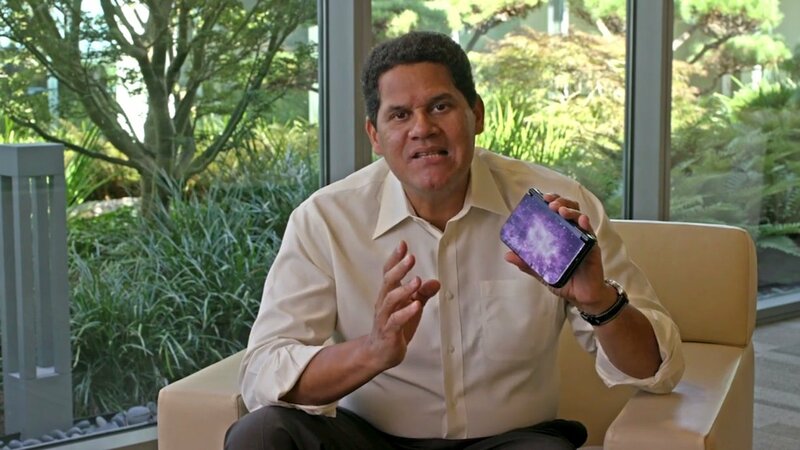 Nintendo of America president Reggie Fils-Aime confirms Nintendo's ongoing support of the 3DS. Many players felt like the introduction of the Nintendo Switch would spell certain doom for the Nintendo 3DS. Both systems are portable or at least portable-ready, after all, and it'd be easy to see how Nintendo might prefer to put their new releases on their more powerful system and abandon their traditional handheld. Fortunately for 3DS fans, that won't be the case: speaking in an interview with IGN, Nintendo of America president Reggie Fils-Aime confirmed that the company plans to support the 3DS beyond 2018. "The way we continue to make Nintendo 3DS vibrant as a platform is first we continue to innovate from form factor standpoint," Fils-Aime said. "So the New 2DS XL is just the latest for us in having form factor innovation. We know colors are a key differentiator, consumers love the variety of different colors. And also the larger screen and the different form factor in the 2DS family, we think is a going to drive and continue to drive the 3DS platform. "We’re going to continue to bring new content, and that’s what’s going to keep this device vibrant and keep it going well into 2018 and beyond." "We say that it’s a home console that you take with you and play with anyone, anywhere, anytime," he said. "It really is meant to deliver that great home console performance, you just happen to be able to undock it and take it with you, which is a key innovation. "But look, in the end, what we want is we want the consumer to call it their device, right? Their preferred gaming device that they can play fantastic Zelda, Mario, third-party content, all of their favorite franchises brought to life on the platform. That’s what we want. And we’re greedy and we want Nintendo 3DS right alongside it." We here at Modojo love the 3DS, and we're happy to see that it will continue to be supported. For all of those who feel the same, we'd recommend checking out some of the great titles we've featured on our list of the Best Nintendo 3DS Games.